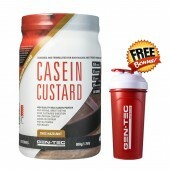 This "Delicious Casein" is available at Rockhard Supplements in Chocolate, Vanilla, Banana Flavours and has two size options 900g (27 servings) and 2.2kg (66 servings). Giving you alpha, beta and kappa casein in a single hit this is by far one of the best tasting products on the market. 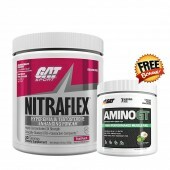 Boasting 27 grams of high quality protein per serving combined with low carb and fat content, this is a highly adaptable protein supplement. 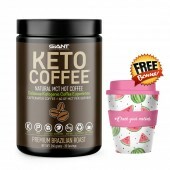 Giant Sports have been breaking new ground in the nutrition industry for decades and are responsible for many of the best supplements you know and love. They have delivered on flavours whilst not sacrificing quality, they're increasing human performance and transforming physiques across the globe. Co-founder of Giant Sports, Joe Babick, is quick to point out that many protein products promoting "great taste" can be ridden with sugars and carbs and very little actual protein content. "Alot of products are labelled protein drinks but they're very low in protein and more high in sugar, carbohydrates and fat," Babick explains. "You really want to look for something that I would consider a real protein powder. Something that's very high in protein and very low in carbohydrates. "That's usually products geared more toward athletes but now with new technologies making flavours and textures so much better than we did in the old days we have these products that are very high in protein, low in carbohydrates and fats, that taste wonderful." 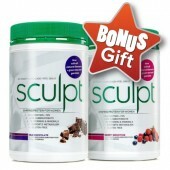 Due to a six-stage protein blend, this all-rounder is suitable as a post-workout shake or as a general protein drink. 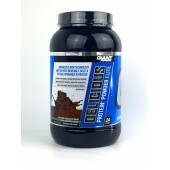 Delicious Casein Directions :-Add one to two level scoops to cold water for a post-workout supplement. Additionally, it can be consumed throughout the day as required.